The Newport is the foundation of the Keen footwear line. 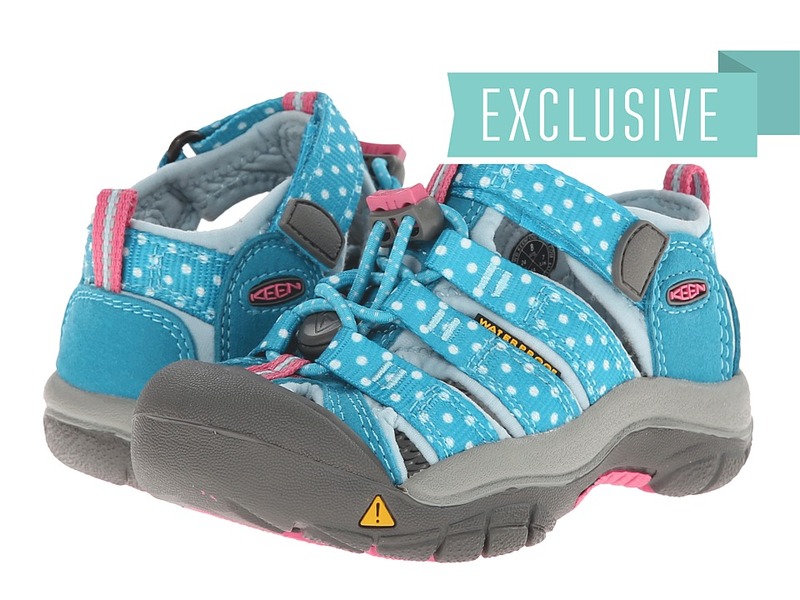 Designed with outdoor play in mind, the Newport H2 provides the comfort and protection young feet need for land and water activities. 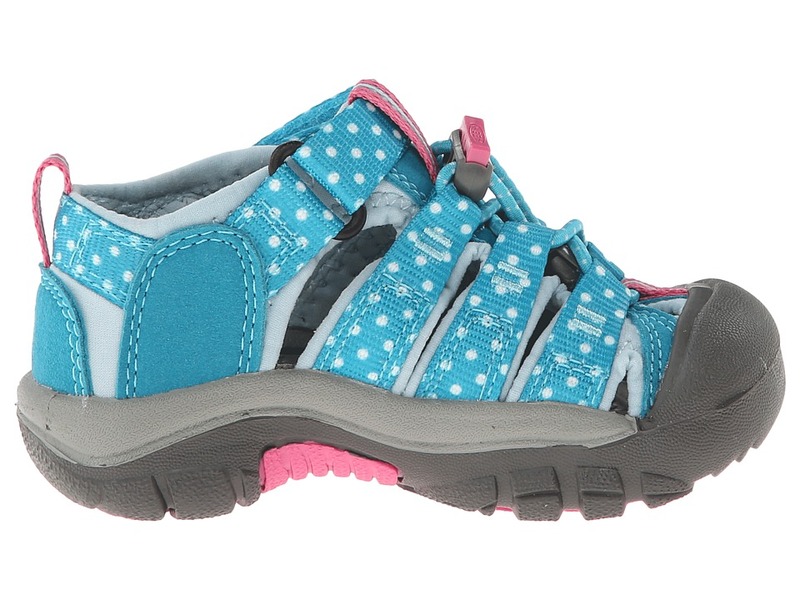 ; Zappos Exclusive – Capri Breeze/Dots colorway. ; Quick-drying polyester web upper. ; Hydrophobic mesh lining. 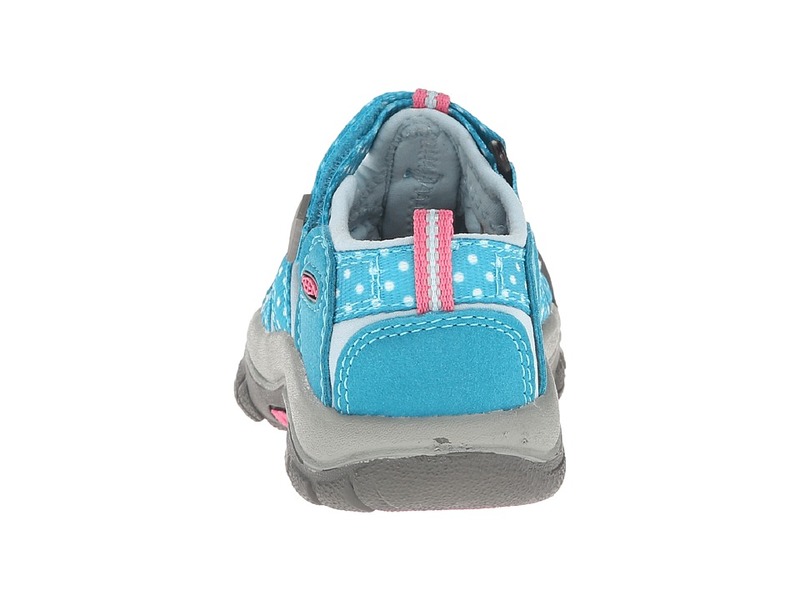 ; Cushioned EVA footbed provides all-day comfort. ; Treated with AEGIS Microbe Shield&#174; antimicrobial technology that helps prevent odor, staining and deterioration. 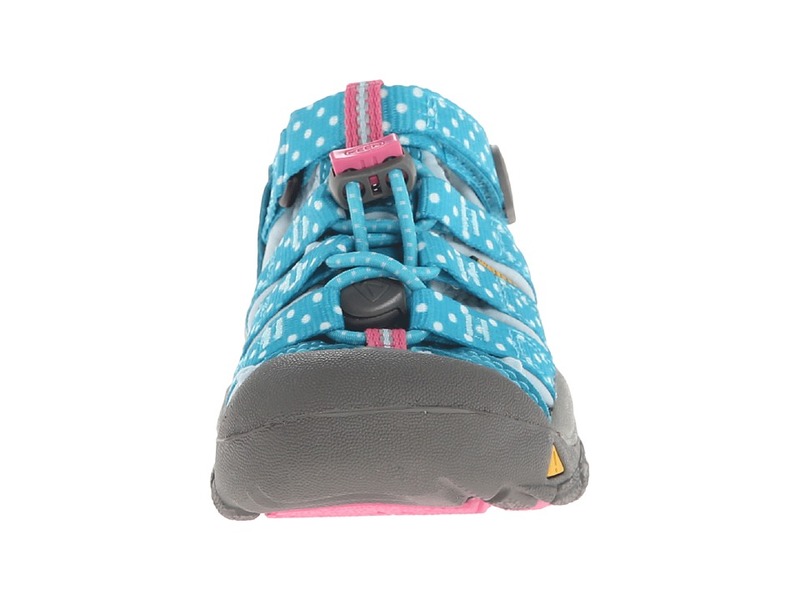 ; Hook-and-loop closure with adjustable cord lock lacing system ensure a secure fit and easy on/off. ; 3M Reflective pull tabs provide added visibility during night time adventures. 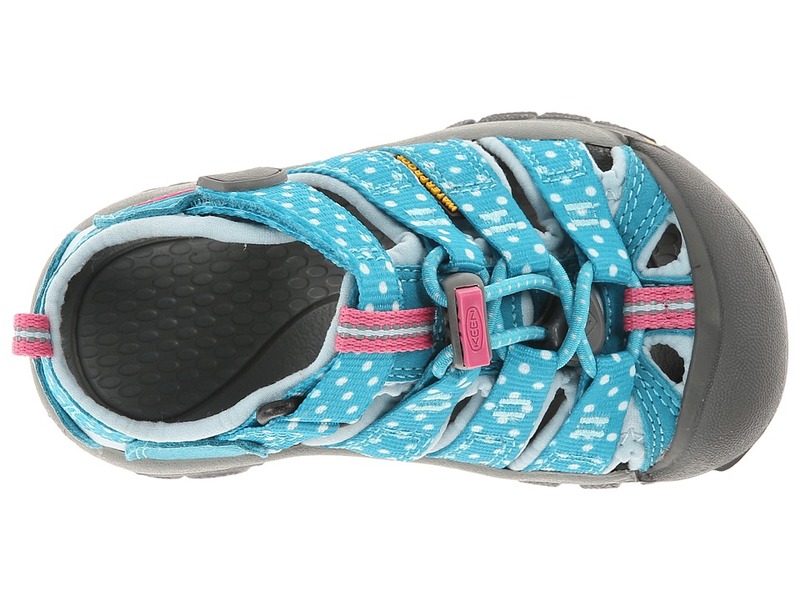 ; KEEN.PROTECT&#8482; patented toe protection. 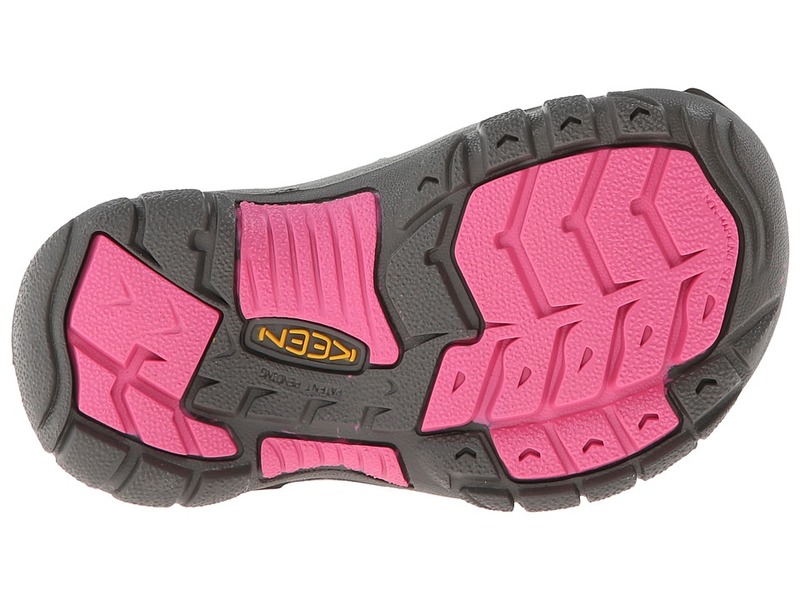 ; Grippy, non-marking rubber outsole ensures traction on wet or dry surfaces. ; Gently brush with a soft, damp sponge to remove loose dirt and restore surface. Measurements: ; Weight: 6 oz ; Product measurements were taken using size 13 Little Kid, width M. Please note that measurements may vary by size. 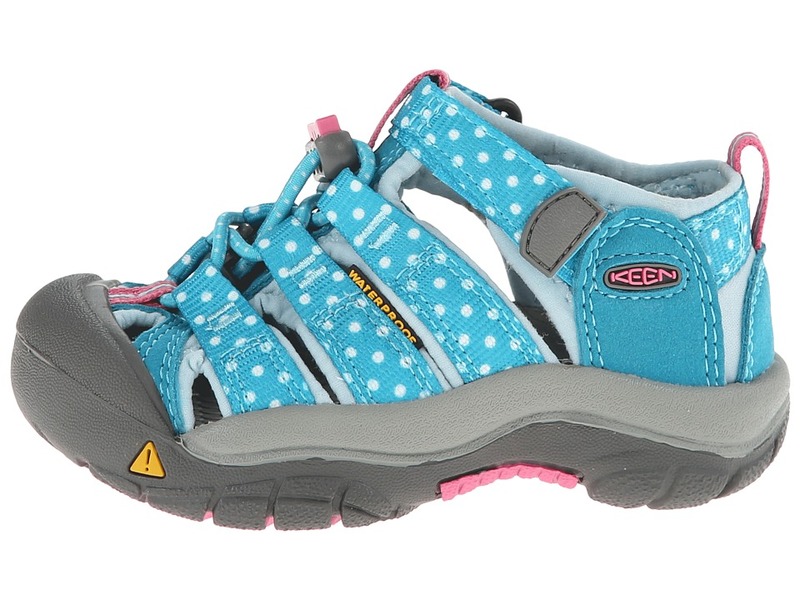 Be the first to review “Keen Kids Newport H2 Toddler Little Kid Girls Shoes” Click here to cancel reply.